The Turks and Caicos Islands, or TCI for short, are a British Overseas Territory consisting of the larger Caicos Islands and smaller Turks Islands, two groups of tropical islands in the Lucayan Archipelago, north of the larger Antilles island grouping. The TCI is mostly known as a popular tourist destination (In 2010, a total of 245 cruise ships arrived at the Grand Turk Cruise Terminal, carrying a total of 617,863 visitors. ), and a tax haven. The local population of the territory is 31,500 (2012 census), and a total 49,000 including foreigners. Gambling is legal and regulated in the Turks and Caicos islands. Since 2007 local residents with an annual income over $75,000 are allowed to partake in casino games*. Before the legalization, land based casinos on the islands were only available for tourists. The legislative framework for overseeing and controlling the gambling market in Turks and Caicos Islands is laid down in the Casino Ordinance and Subsidiary Legislation*. Online gambling is not specifically mentioned in this piece of legislation, nor in any other related to gambling. This is not unusual for micronations. There is only one single casino on the Turks and Caicos Islands, The Casablanca Casino. It is located in the vicinity of major tourist resorts on the biggest Island of the archipelago Providenciales. Casino gaming is mostly a tourist attraction on the islands. Before 2007, local residents were not even allowed to play casino games in these facilities. After 2007, casinos opened up for residents with an annual income of over $75,000. Although there are currently no online casinos based in Turks and Caicos, the archipelago state has an important place in the history of online casino gaming. In 1995, just a year after the world’s largest and most respected online casino software company Microgaming was founded, the first ever online casino, Casino.Inc was registered in the Turks and Caicos Islands. Online casino gambling is not regulated, and residents of the Turks and Caicos Islands can play on many foreign online casinos licensed in other countries. Playing bingo is legal and regulated in Turks and Caicos. Bingo halls can be construed, with a licence (there are none on the islands currently). The Casino Ordinance and Subsidiary Legislation regulates all game of chance, which includes bingo. The Islands have no bingo halls but The Tropicana Supper Club has bingo nights every Sunday. Online bingo is not regulated, players from the Turks and Caicos Islands are free to visit foreign online bingo websites. Poker is legal, regulated and also quite popular in Turks and Caicos. People can play poker in the only casino on the island and there are also poker tournaments held in there, such as the annual Turks and Caicos Islands International Poker Tournament. 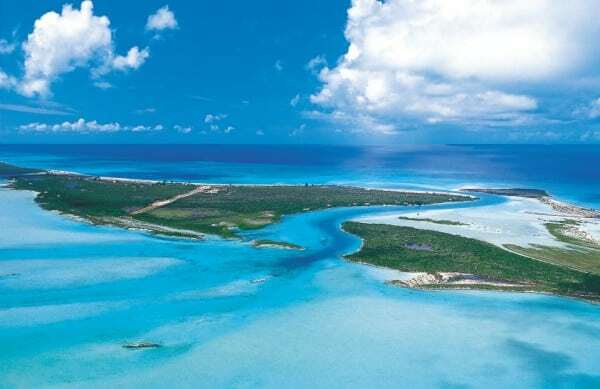 In 2007, one of the episodes of the World Poker Tournament was held in the Turks and Caicos Islands as well. Online poker is not specifically regulated, so players from the islands are free to play on foreign online platforms. Sports betting is legal, and bookmakers are under the same regulations as casinos or other forms of game of chance. Online sports betting is not regulated. Foreign online bookmakers are accessible and many accept players from the islands. Lottery is legal and regulated in Turks and Caicos, according to the Turks and Caicos Islands National Lottery Ordinance. With the enactment of the legislation in 2004, the National Lottery Board was also set up. This is the governmental body responsible for overseeing lottery games conducted in Turks and Caicos. The board licenses an operator, which is responsible for running the only lottery. In 2004 Leeward Islands Lottery Holding Company Inc. (LiLHCo), received the first license, which also operates lotteries in Barbados, Antigua, St. Lucia, Bermuda, and the US Virgin Islands.The lottery launched in March 2005. However it went bankrupt recently, because it was operating at a loss. The mission of the National Lottery was to assist young people, sports and education from its revenues. However, it failed at the task, because it was estimated, that only 20c in every dollar found its way back to the Islands*. After the failed attempt 1Click Games received the license, which also organizes the lottery in Bermuda, Haiti and St. Maarten. The company also operates an online lottery (EverybodyWinsLive.com), which is open to the residents of the islands as well. Foreign online lottery operators are not regulated and the residents of the Turks and Caicos Islands are free to visit their websites and purchase lottery tickets from them as well. Bitcoin gambling and digital currencies in general are not regulated at all in Turks and Caicos. This is typical of smaller countries. I can not recommend any right now. An overview of the legal status of gambling and online gambling in the Turks and Caicos Islands, + a list of online gambling websites accepting players from Turks and Caicos.